Moeller Marine's Reed Array Sending Unit is suitable for gas, ethanol, diesel and bio-diesel. 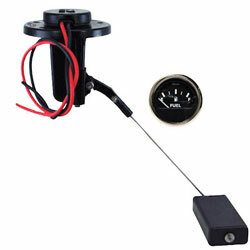 Complete Kit has everything you need, including a dash mounted gauge. Float Designed for Tank Depths from 6"-12"